Join PennFuture for a special happy hour event from 5:30 – 6:30 p.m. on Thursday, July 13 at our Philadelphia office to view the feature debut of a documentary film capturing the issue of pollution from oil trains. The film centers on Jeremy Griffin, a local resident, student and activist living within the oil train blast zone. More than 700,000 Philadelphia residents (and more statewide) live in proximity to the rail routes, which run crude oil through their yards, past their hospitals and childcare centers, and alongside their bike paths and highways. In Pennsylvania, there is poor oversight of railroad bridges, a lack of transparency, and minimal access to rail maintenance records, along with insufficient penalties for regulatory violations. In the Delaware River Basin, a watershed that provides drinking water to more than 15 million people, the consequences of an accident could be enormous. 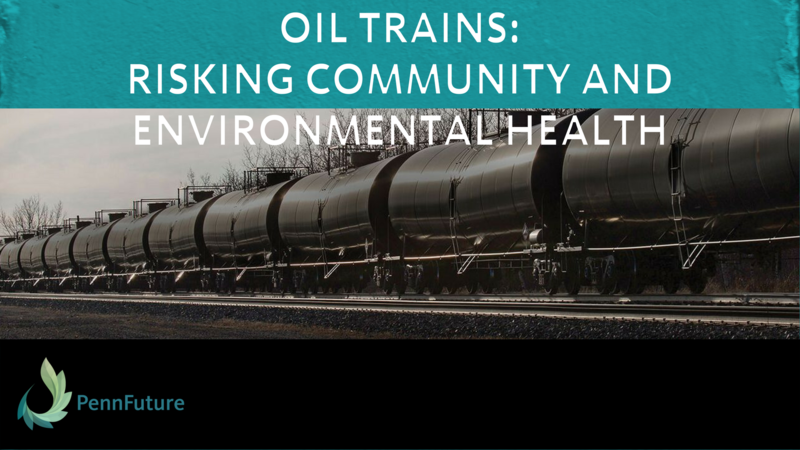 Check out this sneak peak of the oil trains project below and join us at this special premiere to view the film, and to share your own story and concerns with members of our community. Please RSVP no later than 11:59 p.m. on Tuesday, July 11. 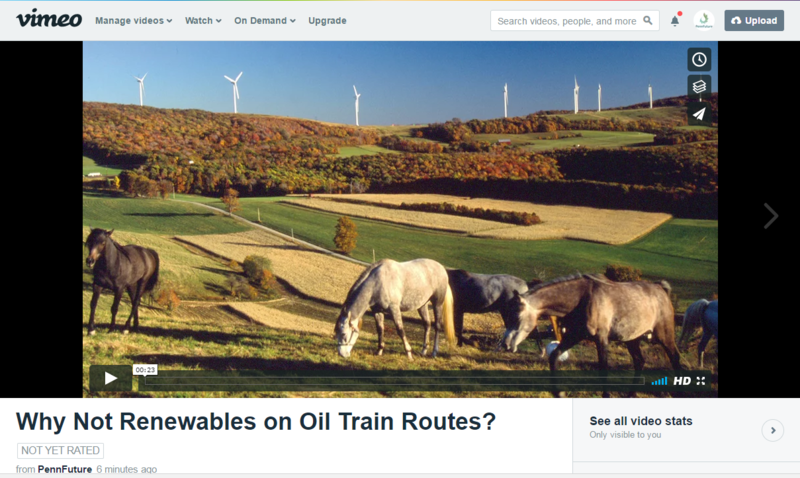 Click here to view Oil Trains Teaser #1 on Vimeo. Thank you for taking the time to join us. Please know that PennFuture is working hard to protect our environment for you and for future generations. If you like what we do, please take a moment to show your support.